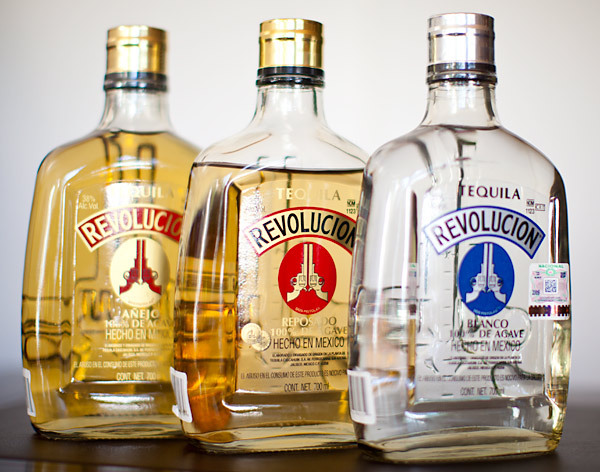 While the protests in Egypt remind us what a true revolution is—new, energizing, passion-driven— Tequila Revolucion seems the opposite. It doesn’t ignite our senses, nor does it hark back to the image of Mexican revolutionary Pancho Villa, throwing back a bold, traditional tequila before riding out to seize hacienda land. Instead, it’s just unremarkable, which is a shame considering the price point. We recently sat down and sampled the blanco, reposado and anejo, which retail at about $40, $42, $50, respectively. They also offer a 100-proof blanco, and will soon have an extra añejo. The blanco has a mild nose of citrus, herbs and raw agave that remind me of Siete Leguas blanco, but dialed down. Once in the mouth, it’s a bit watery. The taste is relatively unoffensive, but what you remember is a strange astringency at the back of your throat and top palate that lingers unpleasantly. Unfortunately, this is carried through the line, and is particularly strong in the reposado. The repo is aged 10 months in white oak and carries light vanilla, honey and butterscotch aromas. It has a soft front, and then that annoying astringency that hangs around for minutes. The añejo is an intensified version of the repo, but with less bite at the back. Still, it feels uneven in the mouth, as though it does not have enough oils for a pleasant mouth feel, even though it’s aged 18 months in white oak. A worker tends to the brick ovens inside of the Tequila Cascahuin distillery — where Tequila Revolucion is made. Tequila Revolucion is made at NOM 1123, in distillery Tequila Cascahuin. This is a tiny, ancient place on the road to Tequila. Grover and I visited it on our first tequila tour and were surprised to find it was producing any modern juice. That said, Revolucion is modern. After all, it is going after the “smooth, premium” market. The problem is that it’s just too rough around the edges to win any devotees, let alone spark a revolution.